"My name is Ervin Malicdem, a Superman and a Scientist". This is how I call my self like an answering machine whenever someone ask my name when I was only four years old. It has been my childhood dream to fly and become a scientist as far as my memory takes me back. I've been exposed to encyclopedias and been reading them instead of watching cartoons in TV. And when my parents gave me shopping money during Christmas season, instead of buying toys, I went to the bookstore to buy any hard-bound book about space, constellations, and maps. What led me from Mapping Advocacy to Disaster Risk Reduction Management? I am a natural explorer. I love to travel. And at an early age of eight, I got to climb Mt. Banahaw in Quezon. Though, admittedly it was a "religious mission" that my dad was into during those years, but I had to be there because I like to see new places. It was my first mountain. The only issue I have was that I have a short memory in keeping directions. There must be a way for me to be able to remember them. And there are only two things that can help me out on this personal Waterloo: I must (1) experience them (2) and have a tool to guide me. Satellite imagery + street maps + exploration resulted to a hobby... Mapping Advocacy while Traveling. Sounds familiar? Sounds like Schadow1 Expeditions, right? - A mapping and travel advocacy resource for the Philippines. Over the years, I am jumping in to industries which relates to the Arts and Information Technology but my longing to map and travel the country remains. During any free time I have, I go out, enjoy the Philippines and map the country; so that I can help myself remember where I've been and how to get back to them and also help others to go back and experience the same way I have experienced the Philippines. I have been into mapping advocacy since 2004. There was also this instance that I had to purchase a real-estate property somewhere in Cavite to which its marketing slogan has captivated me - "Flood-free". But in just a few months of staying, it was flooded during Typhoon Haikui and Trami. Eventually learning that the location where I bought a property is in a flood hazard area through Nababaha.com - a website that is a project of the University of the Philippines inside their Volcano-Tectonics Laboratory, led by Dr. Mahar Lagmay. That was the start when my "maptivism" has led me to an awareness about topography and natural hazards that is coupled with it. It was a time when I was introduced to Disaster Risk Reduction. Professor Mahar Lagmay was the first person who have noticed my plight and professed his willingness to assist me. Through my fluctuating memory, I can still remember when he said, "Iilan lang kasi tayong marunong mag-mapa. Dapat lang tayo magdamayan." (We are only a few mappers here in our country. We should look after each other.). 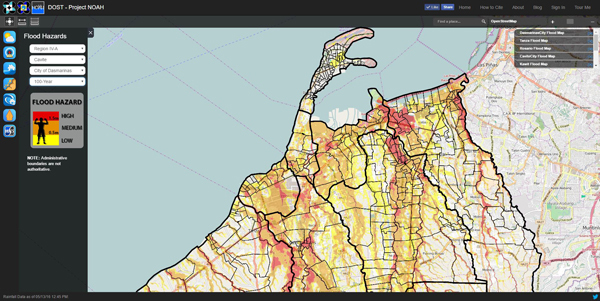 After that phone conversation, he gave instructions to Project NOAH (Nationwide Operational Assessment of Hazards) to release the latest flood hazard map of Cavite, but this time, it was generated using IFSAR (Interferometric Synthetic Aperture Radar) which is much more accurate and higher resolution than the one generated from Nababaha.com using SRTM. Dr. Lagmay and I were never able to meet in person yet during that time, yet his willingness to help people in the realms of his expertise has been outstanding and worth noting. 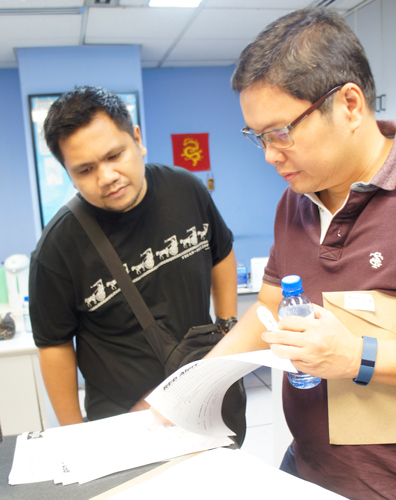 His projects provide the best examples of his authentic desire to help Filipinos through Science. Project NOAH started as a portal to provide hazards warning using existing government technologies through remote-sensing. 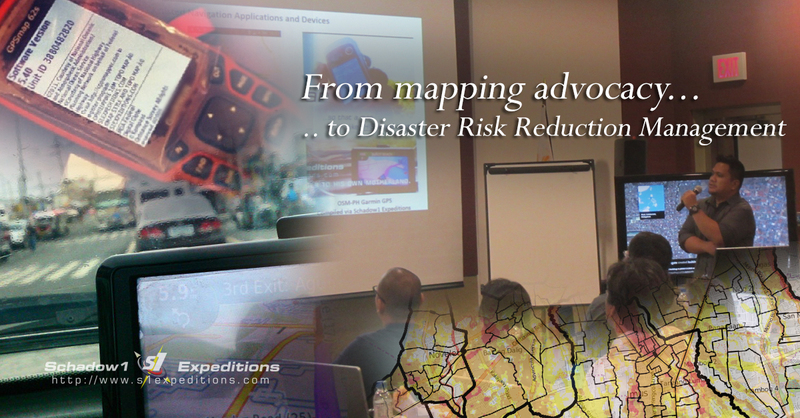 In a few years, the project has been a worldwide leader for disaster risk reduction management by providing simulation-based landslide, storm surge, and flood hazard maps for the whole country using state-of-the-art technologies. This made the project compliant to the Sendai Framework for Disaster Risk Reduction Management that is future-proof until 2030. Over a few years since its inception in 2012, it has already saved lives in various instances by giving on-time warning for needed evacuation through the National Disaster Risk Reduction Management Council's pre-disaster risk assessment activation during impending disasters. Eventually, through the turn of events from this mapping advocacy, I am now honored to be part of Project NOAH by heading its operations for its new component, Integrated Scenario-based Assessment of Impacts and Hazards (ISAIAH). Working with the best people, and one-of-a-kind DRRM project in the Philippines recognized as one of the worldwide leaders in disaster risk resiliency makes the word, "honor" as an understatement. I may not be a scientist but being mistakenly called "Doctor (PhD)" from time-to-time is quite amazing and has given "reality" for a bit on my childhood intricacies. Schadow1 Expeditions remains, but now will be taking further than travel and mapping; hopefully giving a dent in this new undertaking. Disclosure: Project NOAH is a project implemented by the Department of Science and Technology under the University of the Philippines National Institute of Geological Sciences which was enabled under the instructions of the President of the Philippines through Republic Act 10121 known as the Philippine Disaster Risk Reduction and Management (DRRM) Act of 2010. The project provides realtime remote sensing information of weather-induced events and hazard maps produced through simulations using advanced technologies. The writer is currently a consultant and is heading the operations of its ISAIAH component. 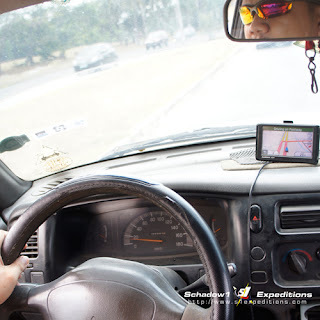 Project NOAH - A life saver for travelers and mountaineers alike.